When she's not out on a raid, a Viking woman has to be ready to manage her land. 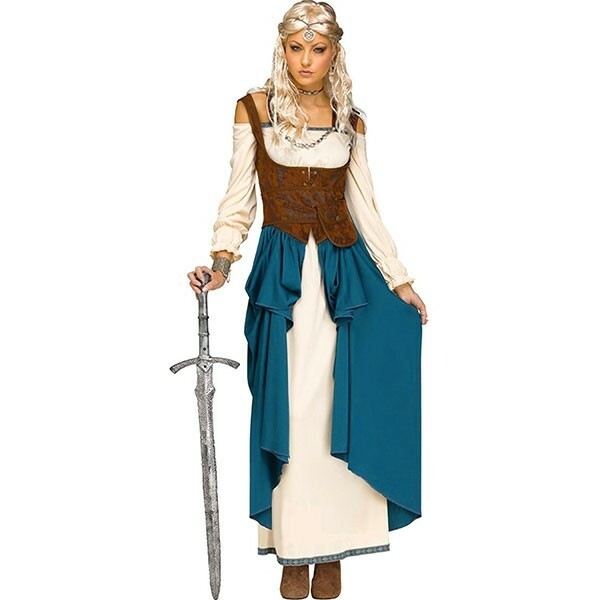 This Viking-inspired costume set from Fun World includes a peasant-style gown and leather-look waist cinch with skirt drape. 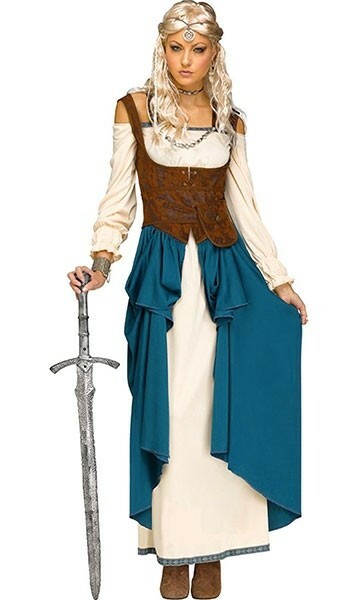 Please note: sword and other accessories are not included.